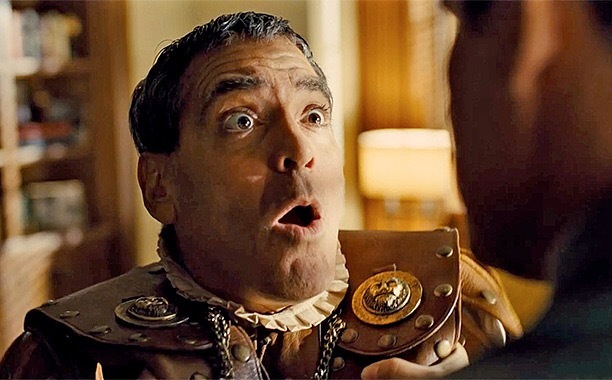 Hail, Caesar!, the new film from the Coen Brothers, is a film heavy on nostalgia and authenticity but light on focus to moving along the central plot. It has so many fantastic elements that seeing the final product fall short is a huge disappointment. The film tells the story of Eddie Mannix (Josh Brolin), head of production at Capitol Pictures whose job involves firefighting the many problems created by the studio’s roster of stars who seem to have an uncanny ability to mix themselves up in controversy. The studio’s next big film will be Hail, Caesar!, a biblical epic in which Baird Whitlock (George Clooney) will star. However, when a prop wine goblet is spiked by an extra on the set, he is kidnapped by a group of communist scriptwriters called The Future and held to ransom for a then significant total of $100,000, putting pressure on Mannix at a time when he is considering a career change to join the aviation industry with the Lockheed Corporation. It felt at times that the Coen Brothers were so hell bent on fitting in a plethora of big-star cameos that they didn’t care that each time they did so they completely derailed the focus of the story. Take, for example, Frances McDormant’s studio film editor CC Calhoun. Her hammed-up effort is a nice comedy turn introduced at a critical point of the film. She could have easily turned into a key character, but never reappeared and thus there didn’t really seem to be much point to her appearance. A bigger offender comes in the form of a more significant subplot featuring pregnant star Dee-Anna Moran (Scarlett Johansson) and surety agent Joe Silverman (Jonah Hill). It’s a huge eater of time but in the end resolves itself with little input from Mannix at a time when he is deciding that he needs to stay in the film industry, presumably because he is so critical to it. 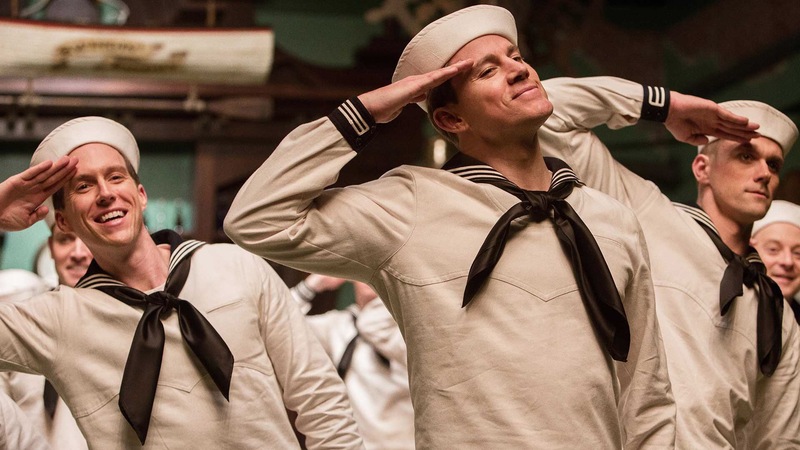 Similarly, Channing Tatum, who features as Burt Gurney, gets a great song and dance scene – a real highlight to the film – but is probably only in three scenes in total. The time spent with Johansson and Hill may have been better served with Tatum. Instead, none of the three characters really feel significant enough to elicit the response they could have achieved had more time been spent with them. One character that does end up getting fully fleshed-out is the Western star Hobie Doyle (Alden Ehrenreich). He is introduced as a big studio star that has got where he is by his ability to perform massive stunts rather than any of his acting qualities. There are some fun scenes with Laurence Laurentz (Ralph Fiennes) as he tried to get the best out of his acting abilities or lack thereof. Near the end of the film there is some subtle symbolism involving him figuratively lassoing Baird Whitlock and taking him back to the studios from the communists, a nod to the cowboy as an upholder of traditional American values. Whether or not they needed to spend so long in the film emphasising his cowboy skills to set this up is another question, but at least this character takes us on a journey and proves to be critical to the resolution of the story. At the heart of the story is Josh Brolin’s Mannix, a man who is essentially a fixer for the studio. It is an interesting character and, along with Clooney’s bumbling Whitlock, he carries the film. His climactic scene with Whitlock underlines why his decision was made – he sees the communist issues surrounding the film industry as a huge threat to America and something he can have a significant impact on from his position. He takes what he considers to be the harder option but in doing so gives his future life more worth. There is an underlying message about the wider issues facing Holllywood at the time this film is set (1951) and how easy it was for people like Whitlock to get involved with communist cells. The discussions on such topics is outside the intended remit of this review, though the recent film Trumbo is a good starting point. Hail, Caesar! offers a lot to fans of the Coen Brothers, though it feels like a hugely missed opportunity due to failings of an over-complicated plot that could have been significantly trimmed to focus the story on the most relevant characters. Fun in parts but overall a disappointment. What a terrible disappointment. The Toxic Avenger was a film I watched when I was probably far too young to see such graphic violence. Sometimes, when you revisit films like this, you’re pleasantly surprised. Unfortunately, despite my anticipation, this wasn’t the case with The Toxic Avenger. Set in Tromaville, the film stars Mark Torgl as Melvin Ferd, the janitor at a local fitness centre. Melvin is portrayed as a complete moron, with his low self-esteem trumped only by his lower intelligence. He is openly despised by everyone in the whole town for this, but in particular by two steroid-addicted gym-goers Bozo and Slug, who it is established early on are also murderers, of course. There’s a bit of a bit of light-hearted bullying where Melvin accidentally kisses a sheep whilst wearing a tutu, and he runs out of a window on the first floor, falling head-first into an inconveniently-positioned toxic waste lorry. From then on the story becomes really ridiculous. To cut a long story short, Melvin becomes a mutated unflinching powerhouse of a monster, and goes on a vigilante rampage across the town, killing anyone he deems to be immoral. They’re quite easy to spot, because they’re usually laughing sinisterly, holding a gun or a knife, doing Class A drugs, deliberately driving into children on bikes, or are doing all of these things and are called Bozo or Slug. By the time he started dating Sara, who must be one of the worst-acted and most offensively-portrayed blind people in the history of cinema, I was contemplating turning it off. I just don’t know what the message was. Blind people can have a relationship too, as long as the person they are seeing has been hideously disfigured in a contrived toxic waste accident? People with bizarre deformities and burns scars could get lucky as long as the person they love is blind and doesn’t know what they look like? Either way, it’s a poor message. The story is unfathomably far-fetched, which I guess is the point, but it’s so poorly acted that it never looks anything more than a homemade film where someone with a camera has assembled a bunch of friends to act out his flimsy story. Everything is hammed up beyond comprehension, and the characters are so black and white you wonder whether directors Kaufman and Herz think everyone watching needs every detail to be spelled out as obviously as possible. Perhaps its enduring success as a B-Movie horror classic is down to the fact it is so mind-numbing, and that’s what the people who keep watching it are looking for. The one saving grace for it is the special effects, which are clearly a cut above everything else on offer here. The transformation scene was pretty gruesome and realistic, and the scene where Bozo and Slug drive a poor child off his bike to his horrific death was startling and effective. It’s a shame that this is juxtaposed with such dreadful acting and some ridiculously chosen music, which is either camp 80s pop rock, or classical music. Nothing in between. It’s also interesting comparing the then-horrific violence to what is regularly on television today. In the preceding years, things like crushed skulls, burst eyeballs and dismembered bodies has gone from something that would potentially see a film banned to standard fair for the likes of The Walking Dead and Game of Thrones. Clearly at the time a film like The Toxic Avenger would sell itself on the depicted violence, whereas now it is becoming a quirk of cinematic history as we become desensitised to what we deem shocking. One good reason to buy is the plethora of bonus features on offer on this 88 Films release, including trailers, interviews, worthwhile commentary from the director, two lengthy introductions, and a whole different Japanese cut of the film. If you are a huge fan of the film then these would make it a worthy repurchase. There’s also the intro credits for the Toxic Crusader cartoon series, which I vividly remember from my childhood. Like the film, though, I ended up underwhelmed by my memory not living up to the reality. I’m sure there’s something for someone in this, but I’m not that someone. I applaud 88 Films for releasing a home-video transfer worthy of the fans, but I can’t endorse the film because it’s just so bad. I really can’t believe that this film holds a rating more than 10% higher than, say, Home Alone on Rotten Tomatoes (65% to 54%). This is proof enough that you can’t account for taste. Or lack of. The Toxic Avenger is available now on 88 Films Blu-ray. When I first saw Big Trouble in Little China, it would have been as a rental from my local video store The Ritz in Burnley. I’m going to guess it was either 1991 or 1992. At this time, children across the UK had been gripped by Turtle Power and, if you were really lucky, you might also have a home video games console with a copy of Street Fighter II. Martial arts were a hot property, and re-watching this film I can see what the immediate appeal was. Less than ten minutes in we’re treated to a large-scale Kung Fu gang fight. As the film progresses, the battles become more over-the-top, with characters flying, using impressive magic, attacking our heroes with lightning and telekinesis and then there’s the unforgettably dread-inducing lazer eyes. 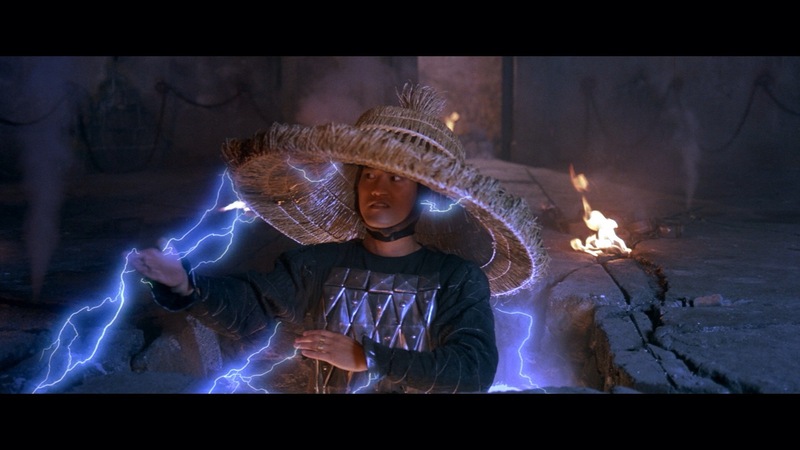 It’s the live-action version of all your favourite parts of Mortal Kombat and Street Fighter II, the film that neither franchise managed to pull off. It just keeps getting better and better and I can well see how amazing that would have seemed to my 8-year-old self. The story itself is a little confused. 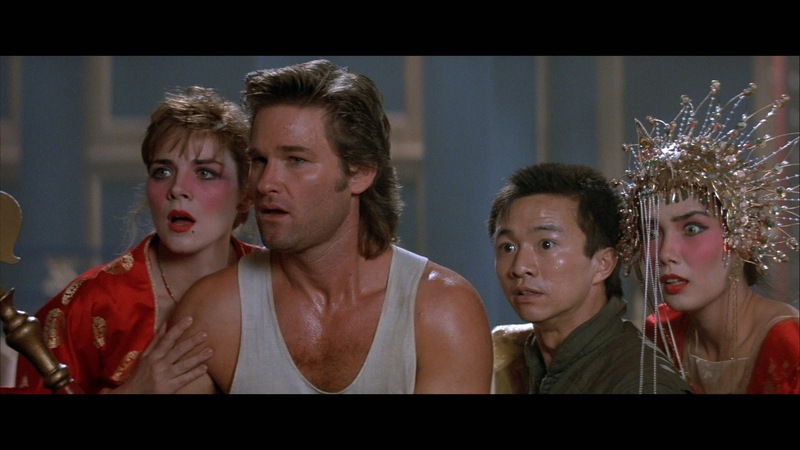 It kicks off with an office scene where the Chinese bus driver Egg Shen (played by Victor Wong) is sat telling his lawyer that Jack Burton (Kurt Russell) was a “real hero”. In the extras we learn that Carpenter was forced to make this addition as the studio wanted Kurt Russell to be the sole main hero. As the film plays out though it is quite obvious that he’s the sidekick to Wang Chi’s cause (played by Dennis Dun). It is his girlfriend we are following the kidnapping and attempted rescue of, not Burton’s. Indeed Burton’s eventual love interest Gracie Law, played by a young Kim Cattrall, is part of the rescue party. In my opinion it’s a shame that the studio forced this change as it’s quite a bold move to cast a reasonably famous Caucasian actor as a sidekick to a Chinese lead star. As much as I’d love to see it recut, I don’t think it will ever happen. The visual effects are to be applauded. I’m used to watching B-Movies, especially those made in the 1980s when people were getting creative with very low budgets. I am quite good at using my imagination to compensate for any subsequent substandard segments, especially if the director’s ambition is evident. Yet there was no concessions required here. There are several monster costumes that stand out as both unique and memorable. The electric storm effects and lazer effects both deliver as well. It doesn’t seem to have aged at all, much less so than some of John Carpenter’s efforts from the 1990s (and yes I’m looking directly at 1995’s Village of the Damned there). And there lies another pleasant surprise. I had no idea this was a John Carpenter film. I watched it too early to remember either the actor playing the lead character or even the lead character’s name itself. I was never going to commit the director’s name to memory. It was great to realise a legend of cinema was on the reigns and it reassured me that it was indeed a high quality film. A word on the package. The version I’m reviewing is the Arrow 2014 Blu-ray re-release. The transfer is unbelievable. The bonus features on the release cover every angle you could possibly want. You’ve got commentary from Russell and Carpenter, trailers, an alternative extended ending. There are extensive interviews with the cast and crew. There’s a short documentary about the stuntmen. Even the menu page looks astounding. I know this is typical of Arrow releases but it’s reassuring that this is the first thing you see and you know a lot of care has gone into covering every aspect of the user experience. So if you’re needing an 80s nostalgia hit and you’ve worn out your cheap Goonies DVD, try this one instead. I’m sure you won’t be disappointed. Big Trouble in Little China is out now on a Blu-ray and DVD dual format package from Arrow Video in the UK.